In the Mix provides the opportunity to explore yoga, dance, music, and technology. Children learn hip-hop dancing, and work collaboratively to create one-of-a-kind music videos. This is where kids feel like a superstar! In the Mix has birthday parties at your location and after-school and lunchtime programs for schools. They bring the party to your home or venue. An innovative program that provides a unique opportunity for children to explore what’s new in dance, music, and Internet technology. Children will learn a hip-hop dance and will also work collaboratively to create one-of-a-kind music-videos, using iPads supplied by In the Mix. 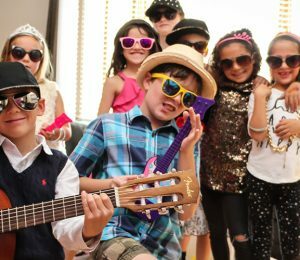 Kids get to be directors, DJs, and choreographers while producing their own custom hip-hop music videos, complete with special effects. A great keepsake for the whole family.